Where can I find the link for my web store? Where can I find the web link for my product? For optimal results on Messenger and other platforms, the image should have a ratio of 2:1 - i.e. width=2 and height=1. Add a description - with all relevant details, more pictures, videos, etc. we recommend to keep this short, simple and to the point to avoid distractions. The image above, for example, we&apos;ve selected different price, tax, weight. Key in the details, add images for variations if you&apos;d like and move to the next step. 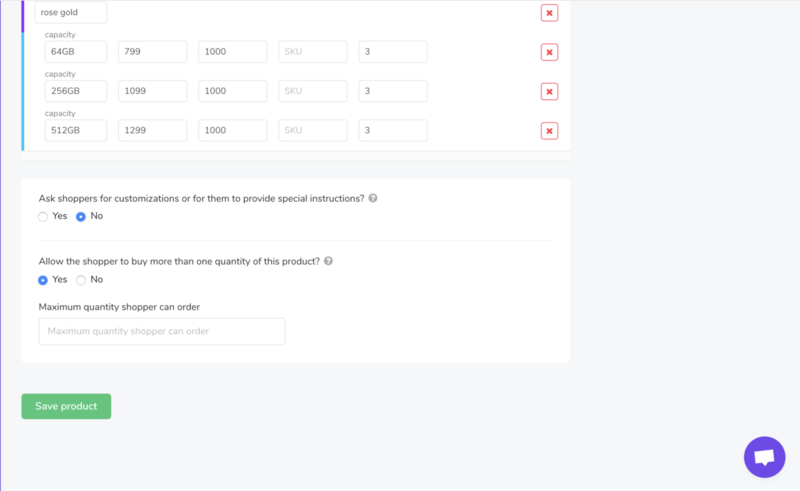 You can toggle on/off the option to allow your customers to pass special instructions; such as Engrave initials, please call before delivery, etc. 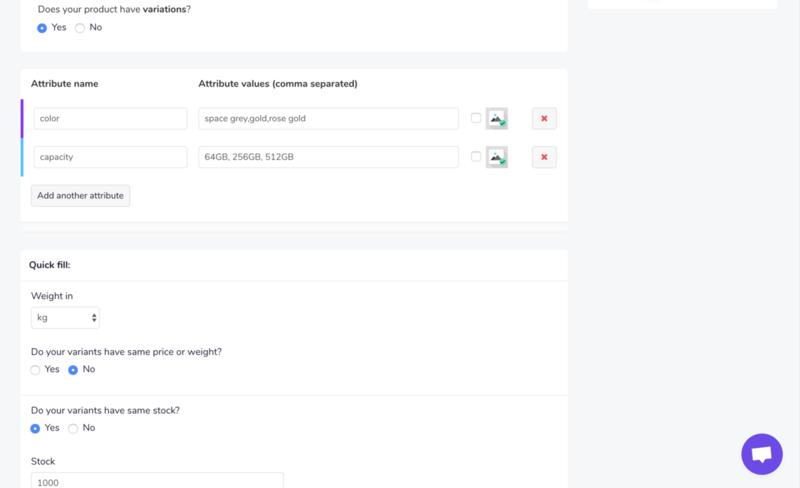 You can also toggle on/off if you&apos;re allowing your customers to buy more than 1 quantity of your product. 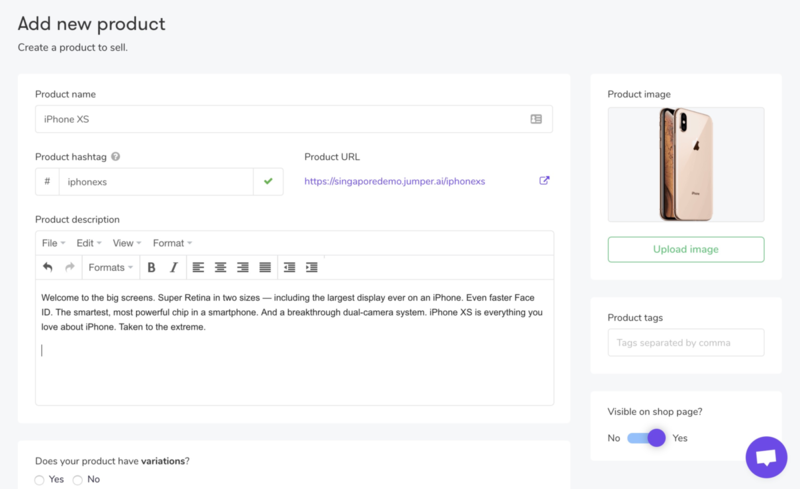 Lastly, we can toggle whether this product should be visible on your shop page. Often we&apos;ve seen merchants switch it off when they&apos;re selling premium products. Did we tell you, you also have a magic message link? It&apos;s this link- This will trigger the messenger from anywhere to begin the product buying process for your potential customers. Check it out. We&apos;re working hard to get a combination of products to be purchased. For e.g. 1 Medium and 2 Large T-shirts from the example above. Magic link- enabling purchase from the Messenger directly. This would be visible for the product on the dashboard as Sales channels > Facebook > Messenger link. For example. Webbot link: enabling purchase from web and messenger would not be mandatory for it. This would be visible on the product page itself.